Every business has its own way to evaluate. But in financial terms a number of indicators are standard. By collecting all financial transactions we create a perfect analysis environment for financial professional who can customize further the results for any type of business. Hyper Analyzer is able to collect several years financial transactions and make high accuracy financial estimations. Several highlights of this analysis are: turnover, sold production, revenue from merchandise sales, production assets, operating revenues, expenses and supplies raw materials, water and energy expenditures, personnel costs, salaries expenses, expenditure insurance and social protection, expenditure vouchers, operating expenses, work expenses from third parties, expenditure taxes, financial income, financial expenses, total income, total expenses, operative result, financial result, gross margin, net earnings. They are the result of simple formulas based on the accounts number and transaction type. More refined analysis can be made, based on the type of business: interest coverage, self-financing capacity, market capitalization, net working capital, permanent capital, cash flow management and any other indicator available considered useful to financial analysts for a particular type of business. If for transactions analysis, was facile to generate a demo data set, for financial analysis the situation is different, for many information about documents we cannot generate arbitrary data. More stable software solution, support remote room listening for all firmware version include N97, 5800, 5530, Samsung i450, Nokia E66 (Firmware date 2009/06 or higher), E71 (Firmware date 2009/06 or higher), N86, E72 and all firmware version. Support SMS text message filter. PLU range and -prices require a continuous update. Turnover as well as order- and working time data registered at the point of sale are to be managed. 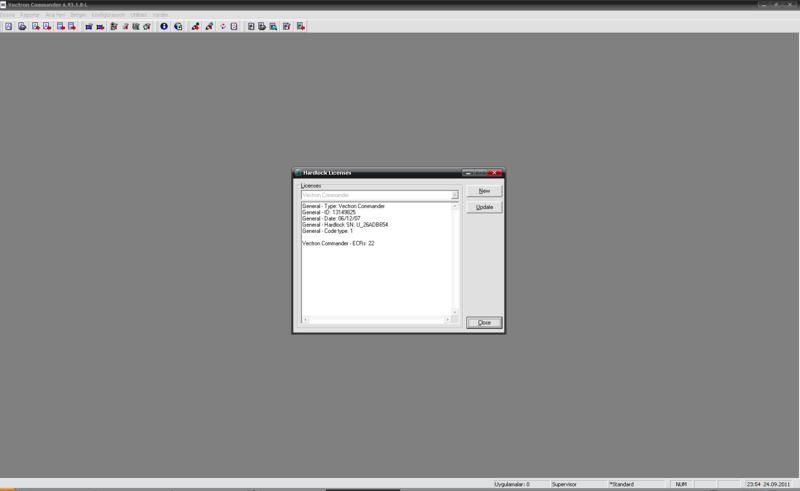 The communication software Vectron Commander provides extensive possibilities with only minimum effort. Though the Vectron-POS systems already offer numerous programming- and report options, the application of Vectron Commander has decisive advantages for instance in terms of program data maintenance and reporting. Modifications of PLU-related data can be transferred to one individual cash register or to any group of ECRs. Vectron Commander connects the head office of a company to all branch systems - worldwide if required. This guarantees that all POS systems work with the same data whilst requiring only a minimum of administration. The communication between POS system and PC is established either via direct cable connection, PC-network or via telephone connection. The Vectron Commander supports analogue-, ISDN- and mobile radio networks. Multi-user capability and a sophisticated safety system allow the evaluation of turnover figures at one workstation whilst at the same time at another work station new prices are entered. Parallel, additional computers exchange data with the cash registers; even in extensive branch networks, all POS systems can be read out and updated practically without delay. The Vectron Commander is fully scalable and can be applied group-wide. In small and medium-sized companies all functions can be bundled on one single PC. A password during program start guarantees that each user can only see and modify those data for which he is authorized. The polled report data can be consolidated for any cash register, group of ECRs, periods and PLUs and can be compiled to clearly arranged reports. In addition to the wide range of standard reports, the report generator enables you to draw up any individual data analysis that you require - be it sales- or staff-related. Alternatively you export data in Microsoft Excel format and import them directly into reports, diagrams and presentations. The open and well-documented data interface is the key for the integration of the Vectron Commander into Back-Office-solutions. Thus, you transfer for instance item-related data from your stock control program to the POS systems or take over time and attendance information into working hour registration. Many providers of trade-specific Back-Office-solutions already realised a connection to this interface. For more information please contact your local sales representative. 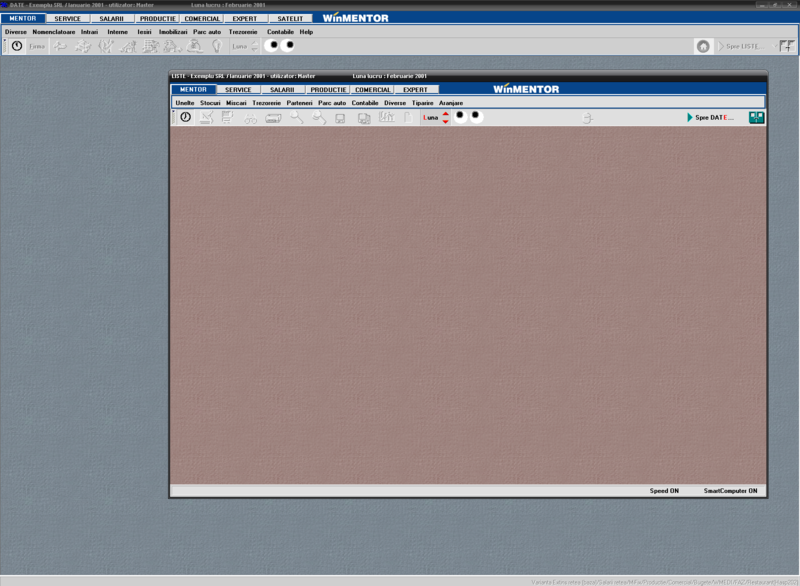 Version 7 of the versatile communication software Vectron Commander offers a new graphical user interface as well as numerous convincing new functions. In addition to the useful features of the previous version like simplified data administration of all networked POS systems and automated data transfer and -evaluation, Vectron Commander 7 can now carry out the complete programming and configuration of the connected Vectron POS systems. Newly introduced "Assistants" simplify programming. 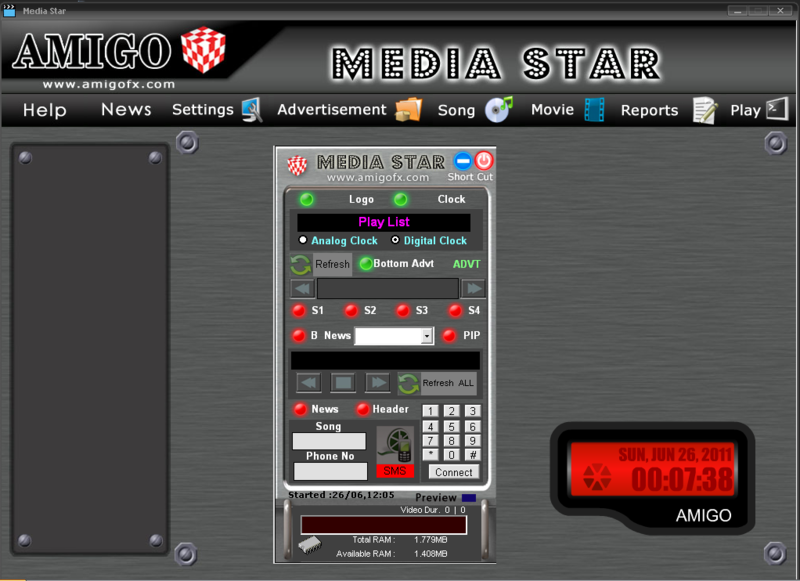 These tools serve for instance for creating, changing or deleting icons and buttons. The programming of the GUI, the keyboard assignment of the POS systems and the creation of table plans is also carried out easily and rapidly via supplied assistants. The assistant for text forms for example serves for creating order forms. The completely new layout of the graphical user interface and the improved user guidance make the handling of the communication software even clearer, easier and more intuitive. This makes the Vectron Commander 7 more than ever the central control element for all Vectron POS systems. Brain Products proudly announces the release of the Analyzer 2 software, its new creation for the analysis of neurophysiology data. 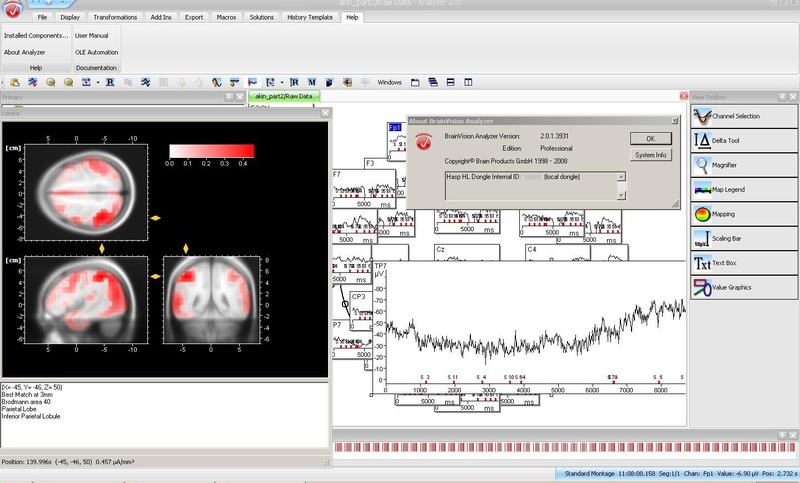 It was in 1997 when a group of ingenious people designed the first version of BrainVision Analyzer, an extremely easy-to-use and comprehensive software that has been a technological revolution for the world of neurophysiological research. 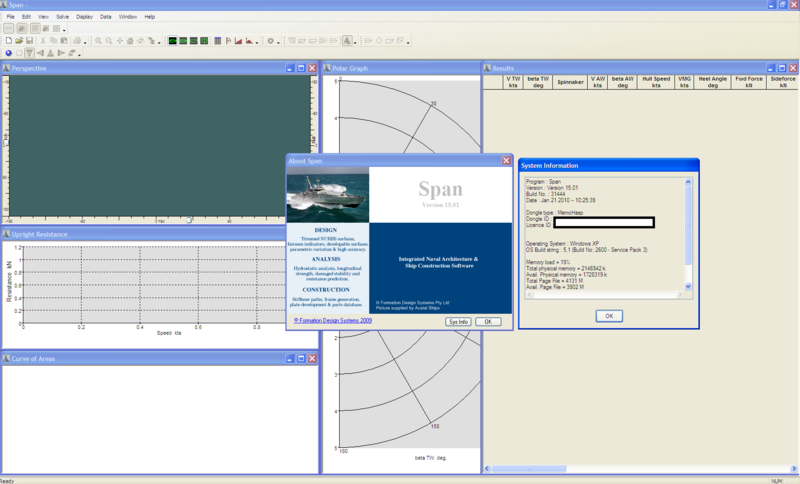 During the last 10 years the Analyzer software has been constantly updated with many small and large improvements and amendments, all of them always provided free of charge! Although our philosophy in terms of prices for software updates is going to remain unchanged for Analyzer 2.0 as well, we saw a huge need for a completely redesigned version of the software package in the .NET environment, a modern and future oriented platform which ensures and enables stability, expansion and quality management for the coming years. Even though Analyzer 2 means many changes and improvements, the users of Analyzer 1 will not worry about requiring a long learning curve for version 2. The main structure and workflow of the analysis software has remained unchanged - the three-section interface is available if you want it to be and the History Tree concept is also in place. Collis is a market leader in secure transaction technology. We offer industry recognized and accredited Consulting Services, Training Courses and Test Tools for the Payment, Government, Transport and Mobile markets. Your business requirements and challenges motivate us to develop cutting edge products and business leveraging solutions. Collis works with you to ensure trust in technology, the technology your business relies on. 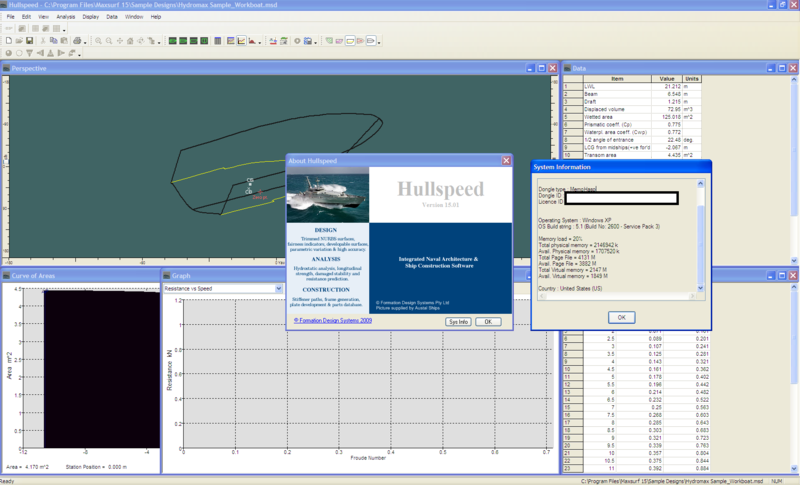 One of the drivers for our software development process is to keep pace with the ever changing portfolio of design rules applicable to the wide range of vessels that are designed using Maxsurf each year. In the version 15 release our focus has been on the new probabilistic methods for assessing damage stability. 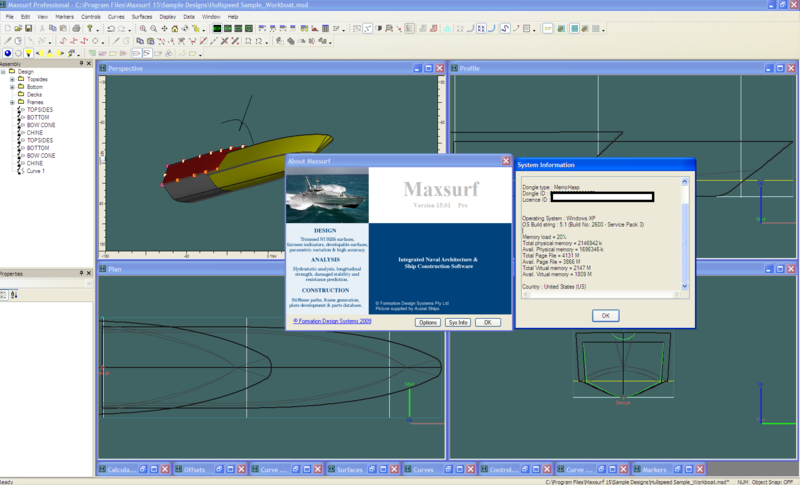 To this end we have added a new version of Hydromax to our Maxsurf suite. Hydromax Ultimate is the most capable version of that module and includes all of the capabilities of Hydromax Pro, plus the new probabilistic damage stability functions. Hydromax Ultimate is available for purchase by existing Hydromax owners by paying the difference in price between the two versions. As well as adding Hydromax Ultimate, we have also upgraded many of the Maxsurf modules with new capabilities. The details of those changes follow below. All members of the Maxsurf subscription program will be sent Maxsurf version 15 over the coming weeks. Contact your local distributor or FormSys directly for a price quotation to add Hydromax Ultimate to your suite of software. Select song from List Displayed after every Song , Plays Song Instantly when Selected. Create Unlimited different - different Breaking News and show instantly what you want. Those clients wishing to discover all the new implemented features included in this build can do so by logging into the �Support� section using the Login form and clicking on the �Web Site Support Access� link. In addition to the new features, clients will also find FIXES solved by this update in the Bugbase section. Please be reminded that access to the Reserved Area is free to all Progea Clients and Movicon developers and users who have at least purchased one developer license. Those who have not yet been enabled access to this area but nevertheless meet the above requirements can contact the Progea Sales Offices quoting name and developer license serial number to receive immediate access activation. 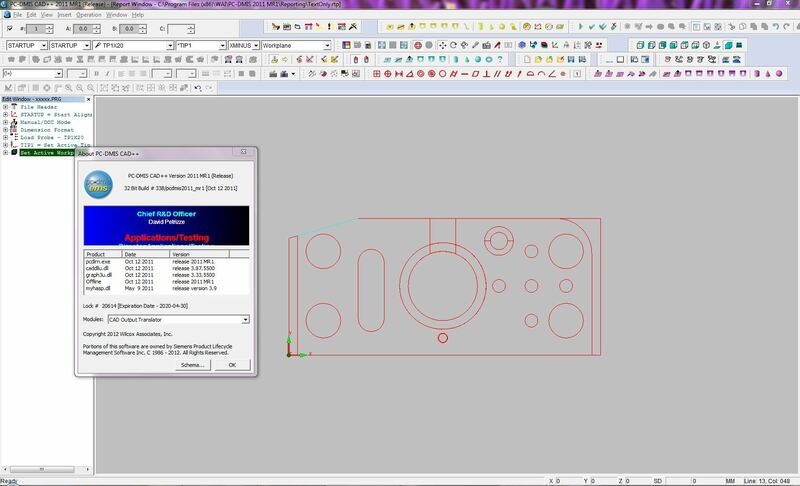 PC-DMIS is the world's most popular CMM software for the collection, evaluation, management and presentation of manufacturing data. Our software is standard on Hexagon Metrology measurement devices and is also available on a wide range of non-Hexagon equipment. Use it to fully leverage your manufacturing process and build truly lean systems. "DataPage+ 2011 MR1" webinar is now available for online streaming. Along with a special "Bonus Tutorial" selected by the webinar attendees. New Release! DataPage+ 2011 MR1 Learn more about how DataPage+ is the Premier SPC Tool Set for Metrology. PC-DMIS Blade 4.0 Learn more about how PC-DMIS Blade simplifies airfoil inspection. 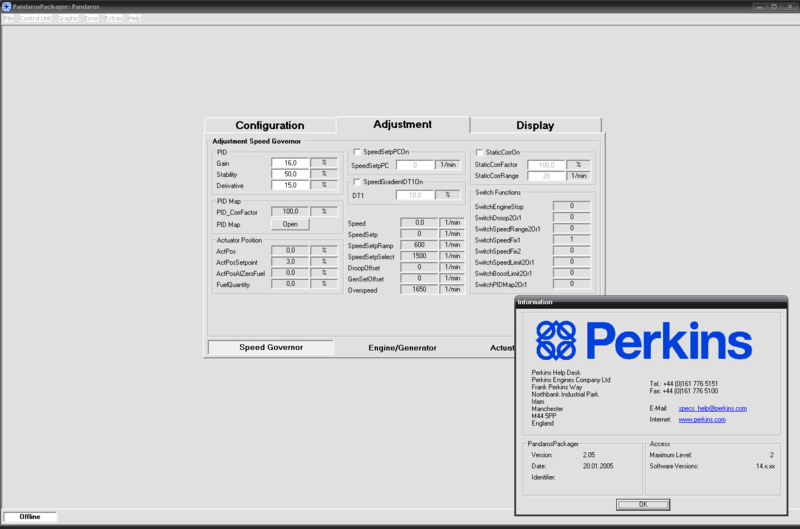 PC-DMIS Reshaper 6.3 trial version PC-DMIS Reshaper has been updated to a more intuitive interface and enhanced features for point cloud analysis and reverse engineering.